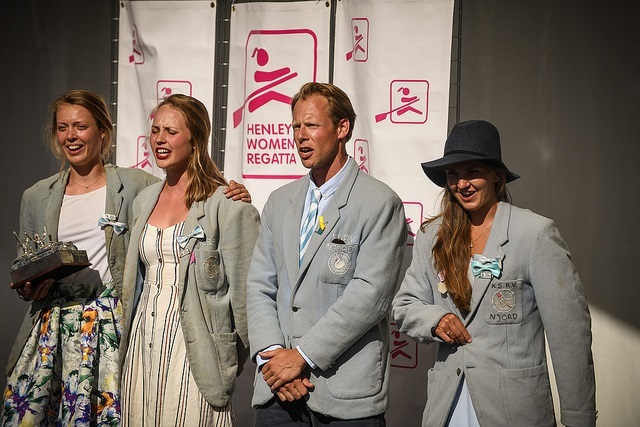 Henley Women’s Regatta bestows this term on its prized group of past and current winners, including male coxes and coaches. Victrix members receive a prestigious pewter badge, which they wear with pride on their blazers. It is one of the joys of the Regatta to see spectators and competitors alike approach these “ambassadors” of the event for photos, reminiscences, and conversation.. All winners and winning coaches automatically become members of Victrix. 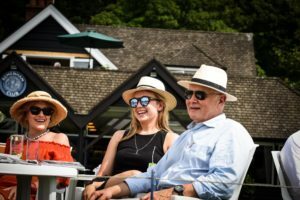 We offer Victrix members the opportunity to become a Friend of the Regatta or to purchase a Day Package to use Remenham Club as either a casual or formal meeting place. Victrix membership provides entry to the Chairman’s Enclosure for the member and one guest. Up to 2 additional guest badges may be purchased for each day of the regatta. As a badge holder to the Enclosure, Victric members and their guests can book for both lunch and tea in advance, at a reduced price, or, subject to availability, on the day. As un-booked meals will be limited, if you do decide that you would like a meal on the day, please enquire as early as possible in person at the Chairman’s Enclosure. Further details about lunches and teas are available by emailing chairmansenclosure@hwr.org.uk. 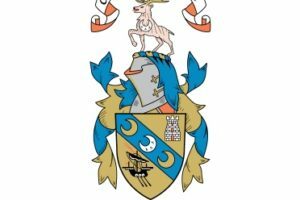 Please note that this email address will not be answered whilst the regatta is in progress. Beverages and light snacks can be purchased at the bar throughout the day. Remember to pre-book and pay for any lunches and teas online by Tuesday 18th June.